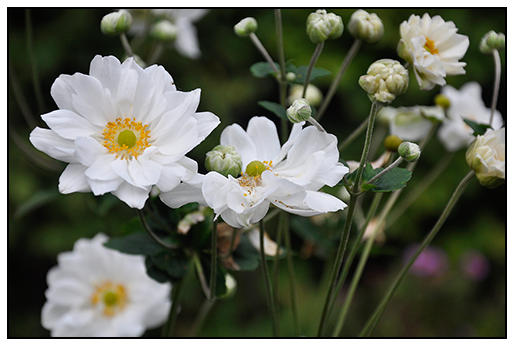 Japanese Anemone's add elegance and romance to the autumn perennial border. 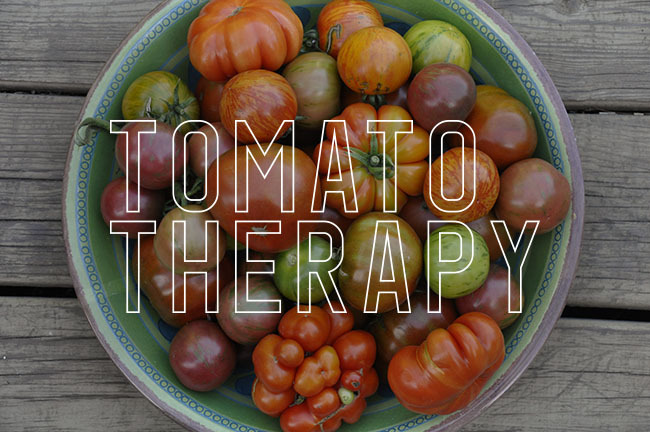 Long-lived, this is the best time to find them at your local garden center. Autumn in most gardens, is color deficient compared to spring displays of tulips, daffodils and pansies, but there is no reason why the fall border cannot be equally as impressive - and in many ways, it has to work harder to compete with foliage, pumpkins and yeah - hay bales. The main reason fall gardens are meh, is simple - most nurseries only carry spring blooming perennials and we generally only shop for plants in the first half of the summer. I think that it is time to upgrade the fall garden to look like this, right here - if you like foliage and berries, or like this, if you like these fall blooming Japanese anemones, then check out the ones in Robin Magowan's Conneticutt garden that we visited in 2009. 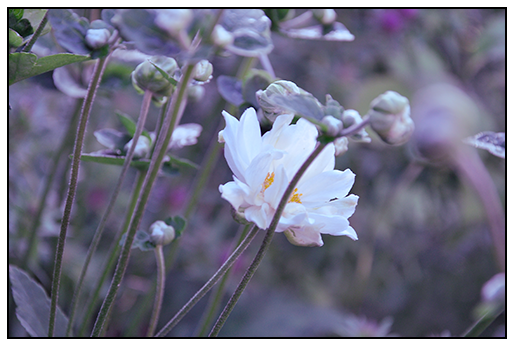 His luscious planting or pink and purple Japanese anemone's will change how you think about fall perennials for ever. It seems that every autumn I try to convince you to try these plants, but the Japanese Anemone is one of the best performing garden plants we could ever plant, and I don't want you to miss out. Mum's are fine fall plants, but there are so many other flowering plants which not only bloom during these last, short days of summer and autumn, but which are long-lived in the garden - take the Japanese Anemone, for example - so popular in early 20th Century gardens, but still uncommon in most fall borders. Japanese anemone, once known as Anemone japonica, but reclassified as Anemone hupehensis var. japonica if you must know, are closely related to the Ranunculus, and really - who would not want a very ranunculussy-looking flower on gracefully long, wirey stems that can be 4 feet tall, in their garden in September? 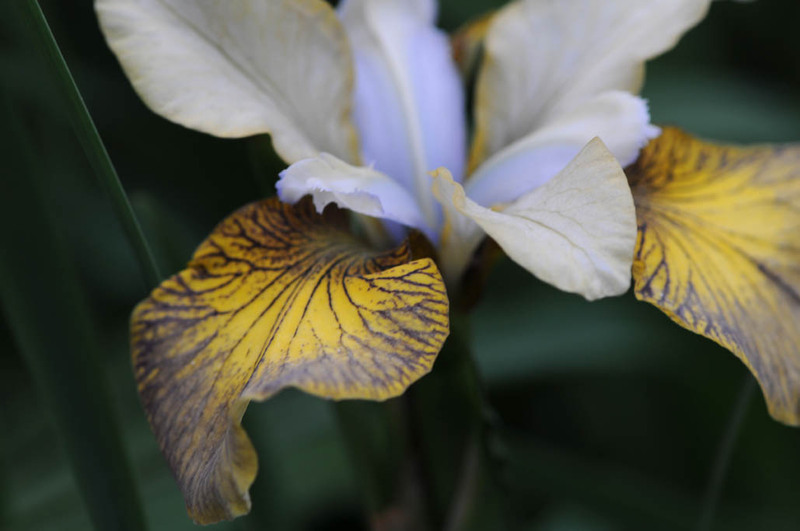 There are many cultivars from which to choose from, but unless you order them on-line, most are hard to find at typical American garden centers. 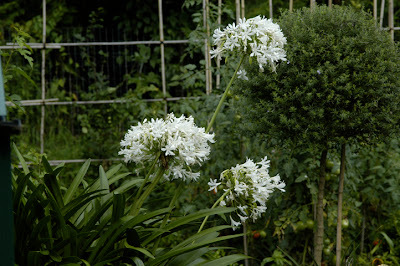 More typically, only one or two varieties are carried commercially by any one retailer, but hunt them down, and divide frequently, for these are long lived plants and once established, can produce a most magnificent display worthy of competing with any mum, hay bale and scarecrow that your crafty neighbor may assemble. New Kniphophia are being introduced each year, with many now showing up in garden centers in the north - with some even available for Zone 5 gardens in the North Eastern US. My beauty above, a lemon-cream hardy Kniphophia is called 'Cool Knip', and it is so hardy, that plants are thriving in Maine, and the Coastal Maine Botanic Gardens. Look for it, but I will admit that it is still rather hard to find. My plants came from Ellen Hornig a few years ago, but now that her Oswego, NY nursery is out of business, I am looking for another source. 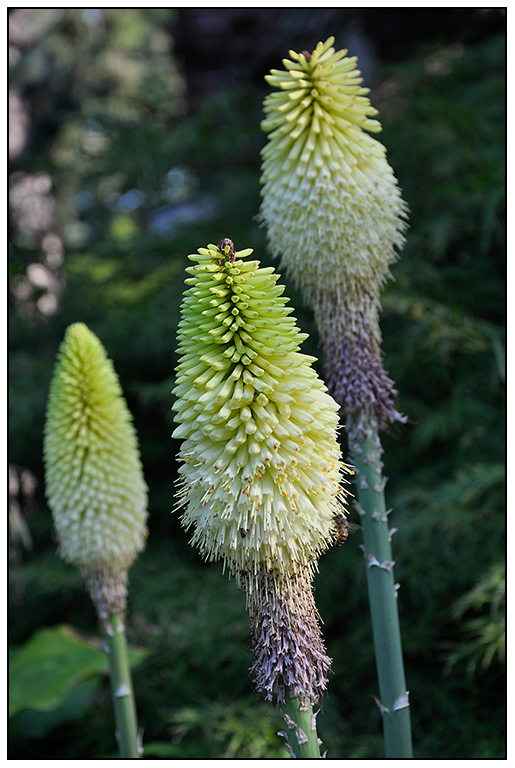 I like red Red Hot Pokers, but a creamy yellow one, in my mind, is even better. Chelone glabra, our native North American Turtle Head does indeed have flowers which look a bit like a turtles head, but this late summer wildflower makes an impressive show in the partly shady or damp perennial border. Often found along streams, or in old farm meadows here in New England, Chelone selections are common enough in most garden centers - just be sure to buy more than one plant, for like any perennial, the more you can plant in a setting, the better the show. 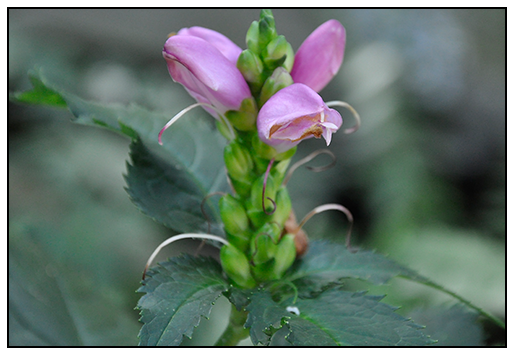 Chelone has deep green foliage, and comes in two colors, pink, or white. 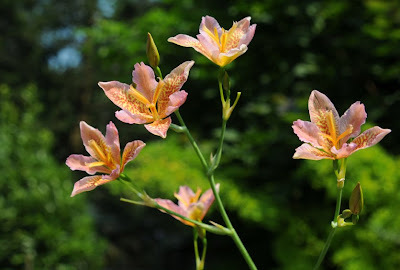 Another long lived perennial, the plant also blooms for a long period, often starting for us around mid-August, but not ending until frost ends the whole show in late October. New England Asters are perhaps to most overlooked garden perennial, at least here in the United States, but in Europe, the plants and the many hybrids and selections have been a staple of those huge English borders for at least 200 years. The above species is a native form, growing in our woodland, but in the garden the show is just beginning to start. 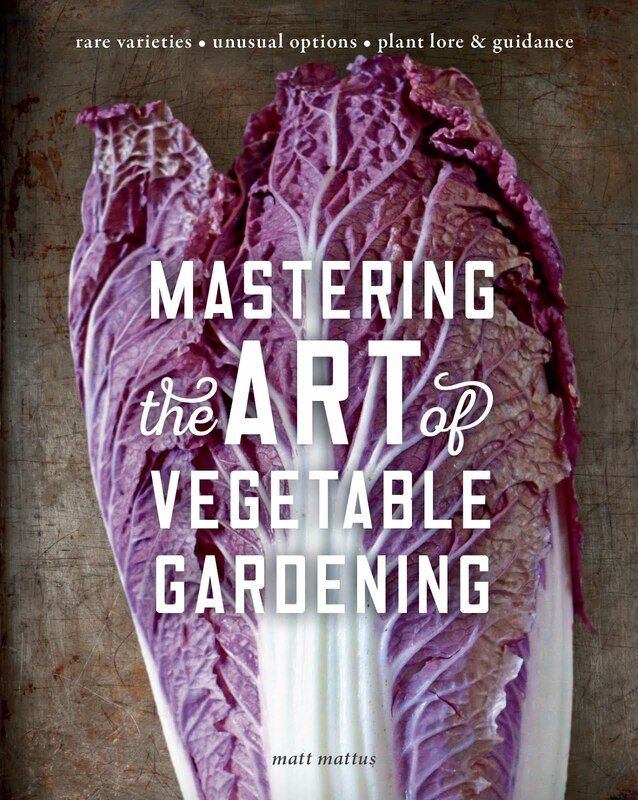 Look for deep purple, violets, bluish purple, magenta and hot pink varieties. 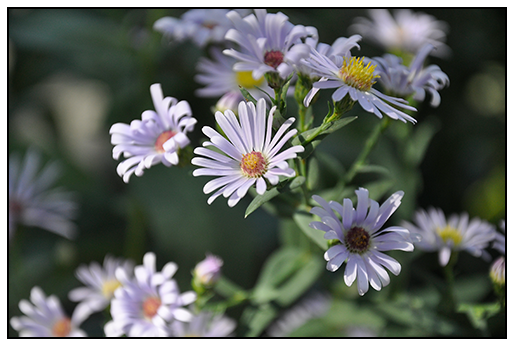 Be careful about where you plant fall blooming asters though, because they can be tall growing, often reaching 6 feet in our garden unless they are cut back early in the season. I happen to like them tall, but I have to stake my plants earlier in the year. A trim before the 4th of July will encourage side shoots, more flowers, and a denser plant, so you may wish to give them a 'hair cut'. 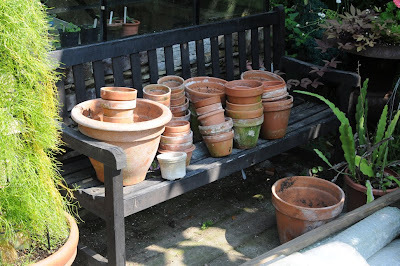 It is sensible to stake all but the shortest growing varieties, as heavy autumn rains can turn a stiff cluster of plants, into an octopus in one night. Asters need to be divided every three years if you want them to retain their vigor, but all this really means is that you will soon have many plants to share, and who doesn't want that? OK, technically this is a shrub - all in the family Ericaceae, but since we often see them sold in the fall with perennials, I will include them here. Heather is definitely not a plant which you will want to plant singly. 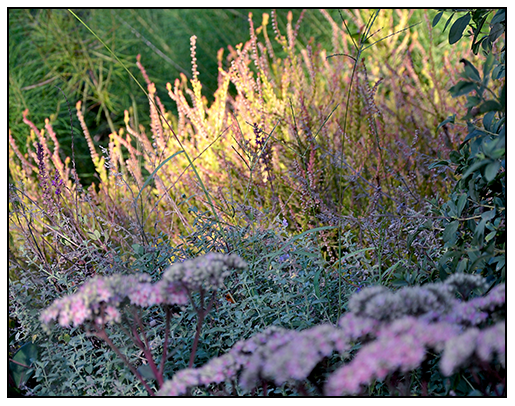 I plant mine in drifts in the perennial garden, and each year, the textures and colors of each variety seems to get better. Plus, heather provides a year-round display - one might argue that late winter is their best season. 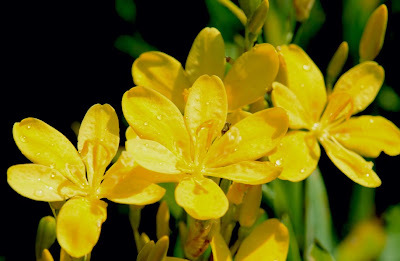 I prefer yellow foliage forms, as well as grey foliage forms. Most yellow or lime green varieties turn bright red or maroon in the winter, so the display is ever-changing. There are many cultivars and selections to choose from, and, they are easy to grow as long as you have an acid soil. They grow best in peat beds, or sandy acid soil, as we have here in New England, so if you can grow Kalmia, Mountain Laurel, Azaleas, Camellias or Rhody's, then you should be able to try a drift of the fabulous plants. 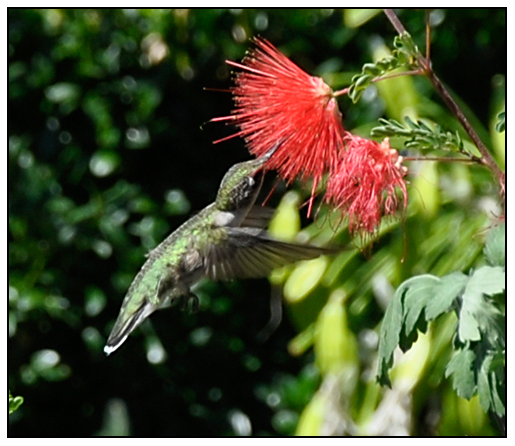 If the jewel colors of late summer flowers are too dull, they can always be brightened up with a male Ruby Throated Hummingbird. First he visits a powderpuff flower - Calliandra californica, a potted dwarf tree that can make a great houseplant that will bloom most of the winter. It is waiting on the deck, to be moved in at the first sign of frost. 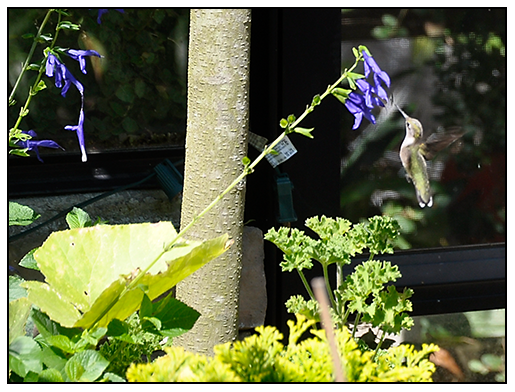 Salvia guaranitica and Ruby Throated Humming bird ( Archilochus colubris), getting ready to migrate south. 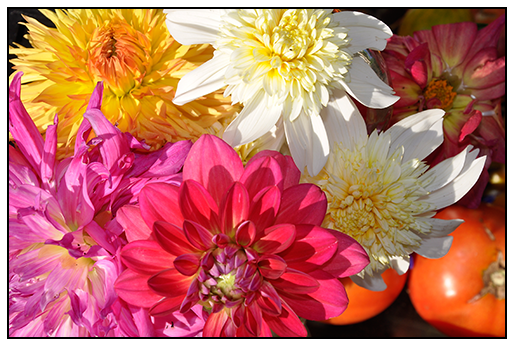 I picked our first dahlias today. I know, the colors are rather random, but I almost forgot to plant some this spring, so I had to settle for a sale pack of mixed colors, but I could not face another autumn without Dahlias! Echinops ritro, one of more than 120 species of Echinops, but only a few of these thistles are growable in the perennial garden. I think they look best when picked just before the bloom. 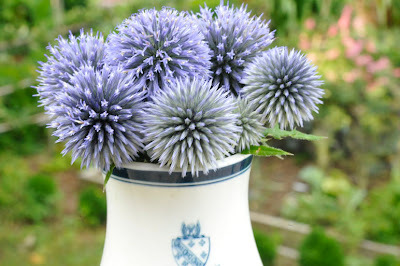 I just love their prickly, thistle-like quality, especially when they are pointy, before each flower opens, it is then, when they have perfect symmetry. They need no foliage, nor other flowers, nor height. 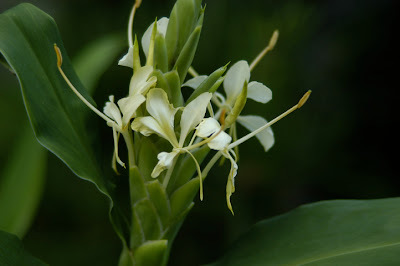 Simply pick the flower heads, and then assemble them closely, so the no stems can be seen. 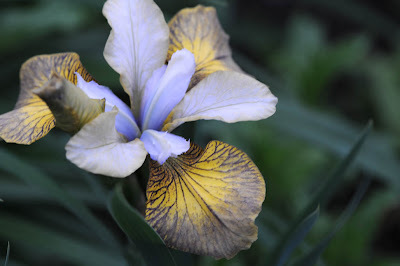 Jan and Marty ( good friends, and owners of Joe Pie Weed Gardens), bred this amazing Siberian Iris, called 'Uncorked', and I am so thrilled to have it bloom this spring. It's color is incredible, a blend of grey, smoke, beige, mustard and glowing periwinkle. I ADORE it! Pardencanda my Belamcanda....and my first issue arrives! This new variety was one of two rhyzome cuttings that I received from Jan and Marty at Joe Pie Weed ) Oh...reminds me, my Joe Pie Weed is abotu 20 feet tall, no kidding!). 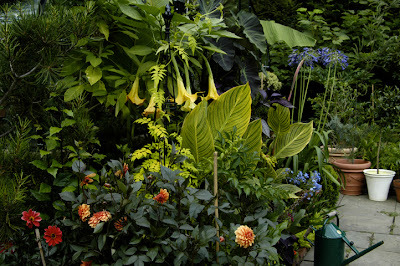 You may remember my post of the top 10 plants, my Muddy Boot Awards earlier this year. The Pardancanda 'Heart of Darkness' was sold out, so this is 'Bountiful Blush' When mature, the plant is said to have nearly 300 flowers on it. So far, I am happy with ten. 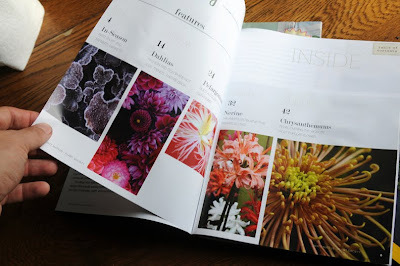 My first draft issue of Plant Society Magazine arrived today, my little venture into self publishing using HP's new MagCloud service online. ( you can order your copy of the draft here.) I had a few concerns, mostly about the paper stock, and the binding. First, the paperstock is thinner, which is OK inside, but the cover is printed on the same stock, I wish I could print on a heavier stock or the cover on a glossy stock, but either would increase the price. Lulu.com prints beautiful books, which look like fine magazines, but I costed this prototype out on Lulu and it would sell at $26.00 US without shipping, with no profit. Not that I am looking for profit, but eventually I will need to if I want to keep this venture going. For now, this saddlestich ( stapled) version on 80lb paper from Magcloud comes in as the most cost effective at .20 a page, and they deliver directly to you. 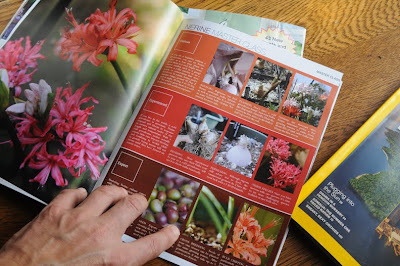 Another option would be to print fewer pages, for if the document is less than 60 pages, the weight of the paper can increase to 60 lb, I may try that with the fall issue. Also, I might try an option on Lulu at the same time, if people feel moved to purchase a perfect bout issue on heavy paper and a high quality laminated cover for less than $30.00, if wouldn't cost me anything, and the book would be available on amazon at the same time. For now, I have more things to worry about, such as tweaking tiny errors ( many less than this blog since I had the document proofed twice!). 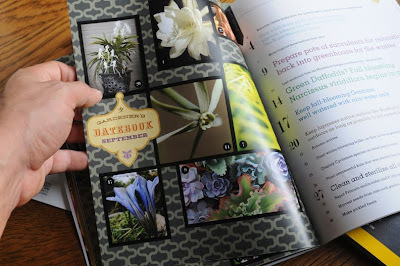 Mostly, design issues such as thin type not reading well, font issues, and image numbers. I think most people would not catch these, but a designer may. Also, the body copy feels large, although it was set at 11.5, which is standard for annual reports, it feels large here when printed, so I will need to adjust both the leading and the point size to make it perfectly elegant, I am also I type geek. 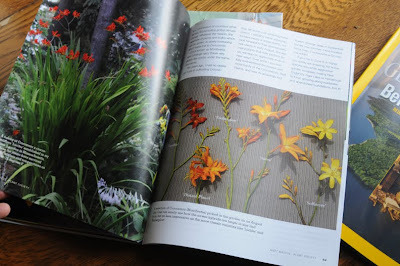 Over all, the images printed far better than I could imagine, and once I got over the photo color-copyness of the paperstock, I actually felt a teensy bit proud about the photography and design, even though I am not a photographer, seeing ones images printed can still be exciting. 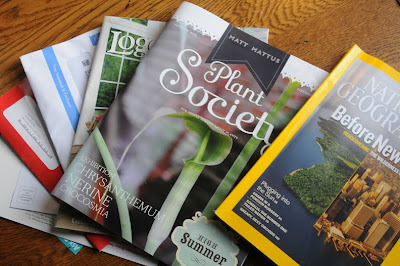 I hope people are not too discouraged by the paperstock, but I would imagine that this project will only improve with time, and that most people will kindly understand that these sort of ventures begin not at big, glossy mags, but with this sort of grass roots naivete. 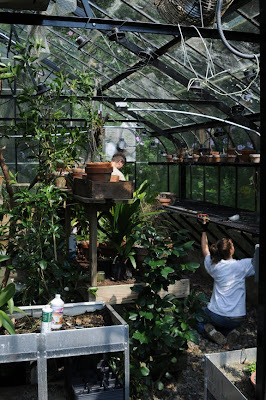 The east coast of the US is experiencing very hot weather this week, but the greenhouse still needed to be cleaned out. Val and Travis clean out under the benches and helped lug out long Jasmine vines that had taken over most of the inside. Two large Acacia trees were cut out, and now the right hand side of the house is ready for some bleach spray and for the glass to be washed. With our first frost date a month away, I still need to address the big issue of buying a new gas furnace. Ugh. Pots. ready to be washed. 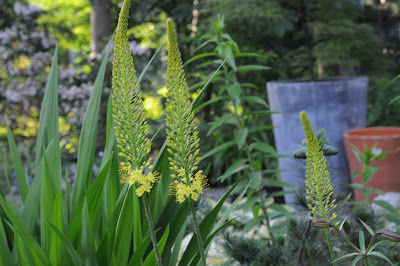 Tall spires of Eremurus, the Foxtail Lily is indeed in the Lily family, yet still, a plant which is rarely seen in many zone 5 gardens. 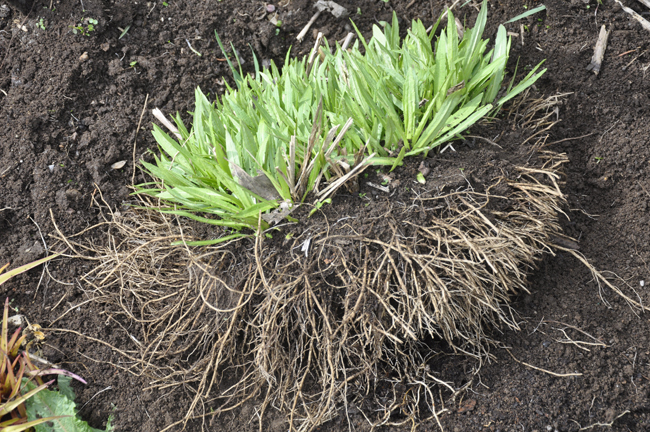 This plant demands fast drainage, or disaster is unavoidable. I plant the dormant crowns in pure gravel, in dug pits that are two feet deep, to ensure fast drainage in the winter, and wet spring, for the desert native plant. 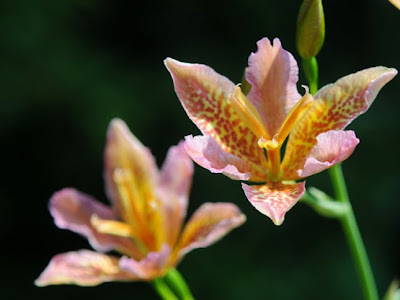 The romance of common names can both inspire and mislead a gardener, but sometimes it's just hard to resist the charm and old-fashioned innocence of names like "the Bellflowers of June", or ' arm fulls of golden Foxtail Lilies that were brought down from the mountains". Still, In this busiest of floral months, a time when each garden calls early in the morning asking to be replanted, weeded, edged, deadheaded, admired, photographed, cut, or enjoyed, the reality is that there is no Month quite like June in New England for horticultural richness and excess, and perhaps there is no week in June, more excessively floral than the third week, near the solstice of Summer. 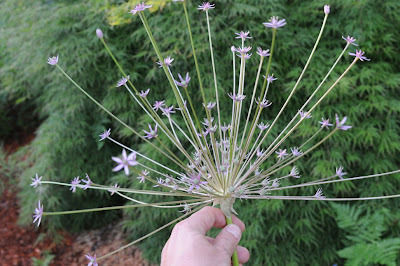 The flower head of the ornamental Onion known as Allium schubertii is far too impressive when picked and held in hand, or brought into the office where its 1 foot wide explosion of bloom can be enjoyed. In the garden, it is sometimes lost. 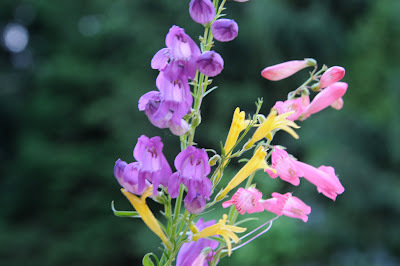 I'm not one for Penstemons. Maybe if I lived in Colorado or in the Rocky Mountains, since growing any of these dry-loving species in our wet climate is useless. But, after complaining today, I was able to pick a few stems from various rock gardens from around the yard. Of course, each plant looked quite pathetic, nothing like the drifts we saw in Arizona or in Aspen. Not a true Campanula but a member of the family Campanulaceae, this plant is clearly very closely related, welcome to the genus Edrianthus. Alas, this alpine Edrianthus pumilio has grown in three years into a stunning little alpine bun, nice and dense and tight, even when not in bloom. I think that the buds just before opening, were equally as beautiful in character to what a classic high elevation alpine plant should look like. 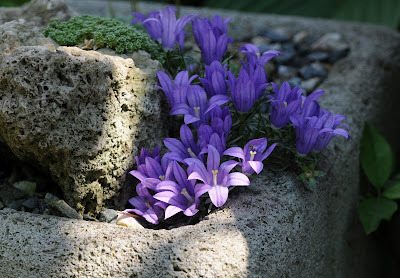 Native to Croatia, this plant is being grown in Tufa rock, one of the pre-planted Alpine Rocks available from the fine alpine plant nursery Wrightman Alpines. For a rock that arrived in the mail three years ago, it now makes me look like an alpine expert! I can't wait to see what it does next year, since I keep these troughs open to the snow and elements year round. The trough is a Betsy Knapp trough, I think the best one can buy. I think next year I will order more of this species, t has everything going for it. 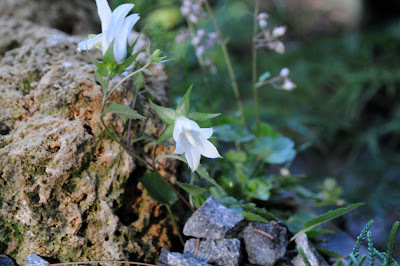 I am also not one to preen over Campanulas, but I do keep a few species and hybrids in the rock garden, planted stone walls and in the troughs, where the high alpine forms actually seem to do quite nicely, especially when planted in Tufa rock. 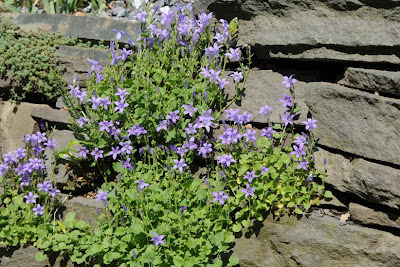 The easy to grow Campanula portenschlagiana has self seeded nicely in a shady curve in our planted alpine rock wall along the foundation of the greenhouse. A new plant for me, I carelessly, lost the tag on this white Campanula on purpose ( I hate white tags in troughs, and felt that no tag was better than even one of my black ones. Perhaps this is C. "Hilltop Snow? Or C. alpina? It's a plant from Mont Echo Alpines...any ideas? These new troughs are currently planted on the shady side of the house, but once our new deck is finished, I think I will be relocating them to the Eastern exposure, where they can receive at least a bit of sun. Common? yes. Lovely? yes. 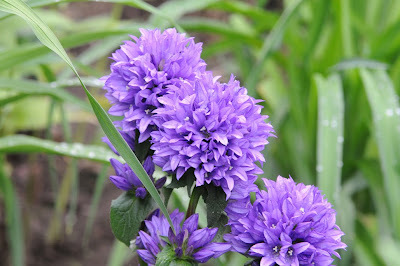 campanula glomerata, a species from France is contributing it's very Campanulacious blue to the Blue and Gold garden this year. I really don't care if it spreads! The chatter amongst those in-the-know about lupines is that suddenly, they've become difficult to grow well. It's true, In 1997, anthracnose began showing up world-wide, in populations of Lupines, reportedly due to the commercial growing of Lupine species as a protein seed souce, worldwide. Anthracnose, is a fungus, spread by moisture dripping on t foliage, or soil born. 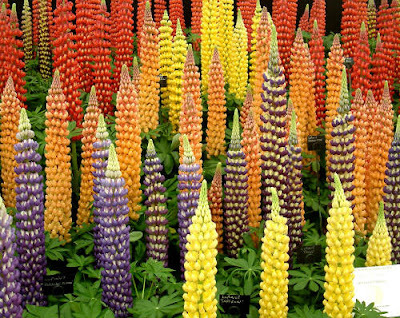 Whatever the actual cause, if one wishes to grow award winning lupines, such as the Russell Lupine above, photographed at last years Chelsea Flower Show in London, one needs to take precautions. 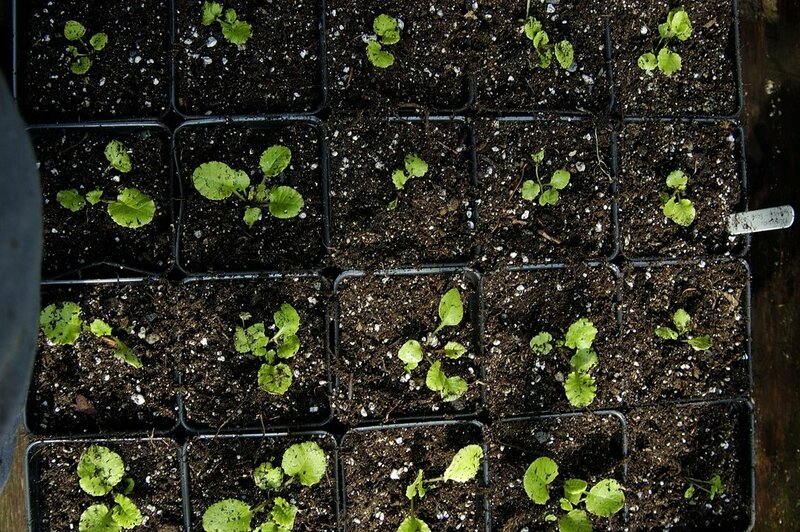 It's not surprising that most retailers who sell seeds, fail to mention this problem. 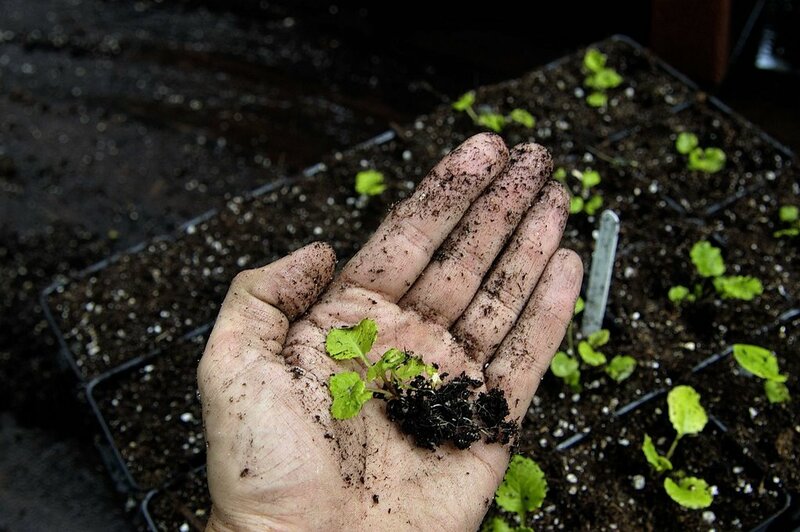 A problem that can be overcome by home gardeners if they take a few precautions which may seem elaborate, but necessary. 1. ORDER DESEASE FREE SEED. German seed supplier Jelitto, is the only source that I know of, but there may be others who can supply to the home gardener. You must get seed which has been heat-treated, and Jelitto has a patented Jelitto JET® process which renders their Lupine seed virtually free of Colletotrichum acutatum, or, Anthracnose. But, attack from other sources cannot be ruled out. This is critical. Home sterilization is relatively easy, if you have an oven, some foil and time. OK....so what are a few worms in the All Clad! This weekend, in the thaw, I was able to dig up some soil from outside in the garden, and baked it at 400 Degrees F. for two hours, along with some sharp gravel. This, I mixed with some perlite to create my peat-free mix. Common sense here, I simply soaked some seed pots and trays in household clorine bleach and water, 2 tablespoons per gallon (as if I measured!). 4. SOAK SEED FOR 30 minutes at 131 deg. F ( 55 deg. C). to kill any existing spores. This may reduce your germination rate, but it will be worth it. 5. PLANT SEEDS AND TRY TO KEEP SEEDLING FOLIAGE DRY. This is important, since you want to avoid spraying with a fungicide, I would imagine. Although, I try to practice organic gardening, I personally don't have a problem with Fungicides. 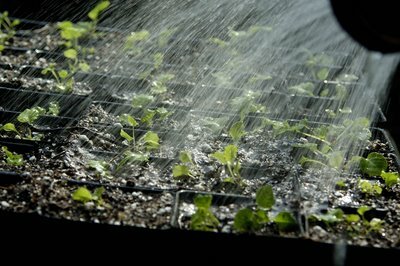 They are useful if your plants are to be growing in a damp greenhouse for the spring, or outside in a wet area. Other than that, it's easy! Lupines are magnificent when grown well, but understanding the issues they can now have, will help you if you plan on investing on some seed or plants at your local garden center. Don't expect to find this info on the seed packet or in the seed catalog from most seed retailers. Clearly, it will put people off. Even though I should have repotted these seedlings earlier, growing Primorses from seed is by far the most economical way to start a collection, and since many of the species and crosses are hard to find in the trade, especially in any quantity, the benefits of sacraficing a few hours is well worth it. First, do the math. These seedlings of Primula Wanda 'blue strain" are sold only at a fe mail order catalogs, ranging from $8.00 to $12.00 a single plant, then factor in the shipping cost at around %20 and the small window in which they can be shipped (early spring or after September, you can clearly see how a $12.00 packet of seed can be so cost effective when you end up with over 120 plants, which will bloom in thier second year. The seed may seem costly at first, but that is because I not only by seed from the North American Rock Garden Society seed exchange (NARGS) and the American Primula Society seed echange (APS), where packets are free or only a dollar or so, I also buy pre-chilled seed from commercial suppliers, like Jelitto in Germany. A twelve dollar packet of thier pre-treated perennial seed ranges from $4.00 to 12.00 for more unusual varieties, but if you are interested in getting near 90% germination and don;t wish to fuss with freezing the posts and chilling hte seed to stratify, they have done the work for you. I grow seed from all types of sources, but I still order some prechilled seed from Jelitto every year, for things like Rodgersia, Trycyrtis, Campanual and more, basically, those varieties that I would like to plant in larger numbers, but that I feel are too costly at $12-$18. per plant at a nursery. 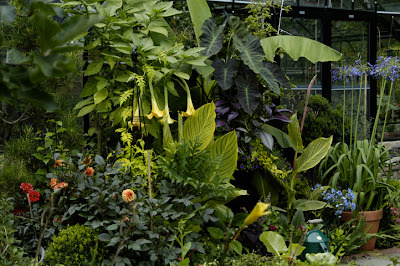 If you have ever visited Kew Gardens in ENgland, you can see how effective 18 to 30 plants of each perennial is when planted in an area. 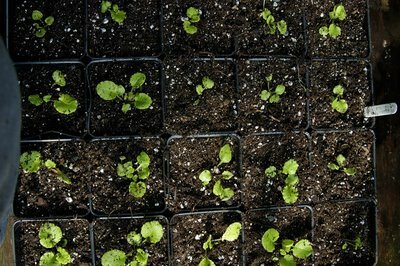 In fact, that is the only way to plant when you want a garden to look like a real English border, or like the cover of a White Flower Farm catalog. It's simply a fact of Math. I see so many peopl buying one to three plants of something like Echinacea, when they should be planting a clump of at least 15 pots to get a display that looks right. Now you could easily end up with a surplus of Rodgersia, which isn't a bad thing at all! 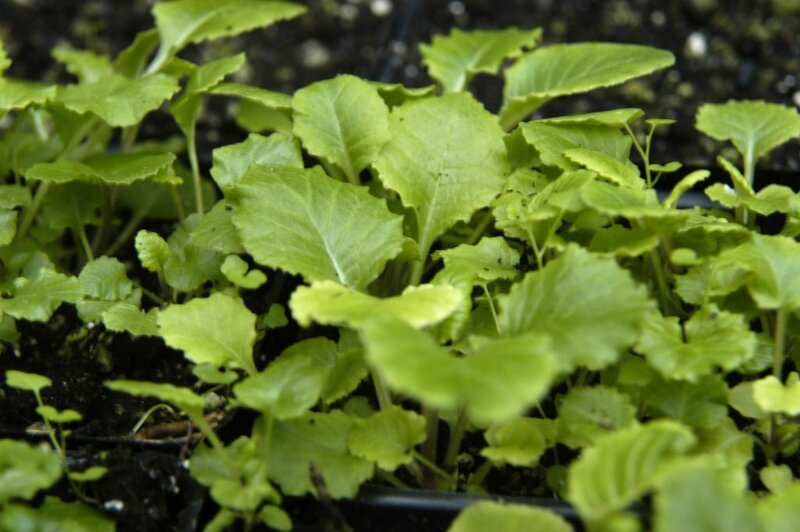 NExt spring, try ordering pre-chilled seed from Jelitto, and by Autumn, you could be planting out hundreds of plants that you could otherwise never afford to plant in drifts.